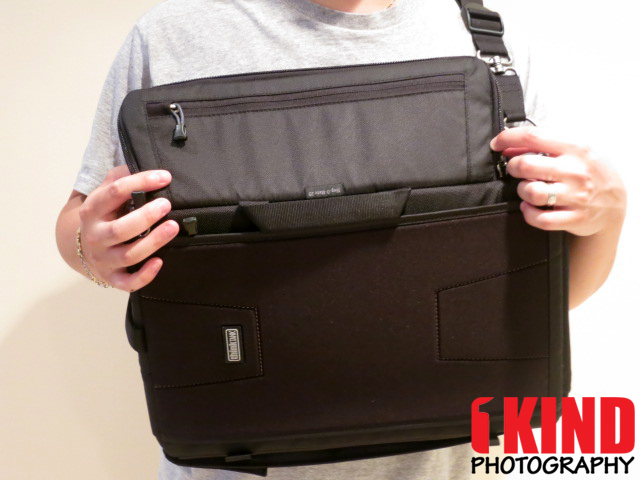 Overview : Think Tank Photo introduces the Sling-O-Matic, the photo industry’s first sling camera bag that can be easily switched back and forth to either shoulder. The Sling-O-Matic’s adjustable, fully padded shoulder strap “automatically” slides along a set of rails to change which shoulder the bag can be worn on. This is the innovative solution to the problem inherent with other sling bags: only being designed to wear the sling bag over the same shoulder. With one smooth motion, the Sling-O-Matic can be quickly switched to the opposite shoulder without losing the characteristics that have made sling bags popular among photographers. The Sling-O-Matic series offers three unique bags to choose from, depending on the set of photo gear a photographer needs to carry. 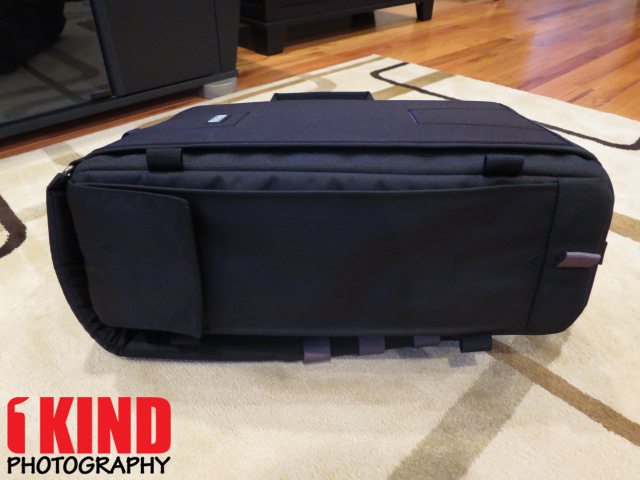 bag flexibility allows expansion to carry some pro size DSLR bodies with a lens attached inside the main compartment. Quality/Usability : My first camera bag was a LowePro SlingShot and hauled what I needed and allowed me to grab my camera without having to take it off. As I started to add more gear to my bag, it got heavier and depending how long I wore it, my should would sometimes become sore. Eventually, I outgrew the bag and couldn't fit what I needed inside. 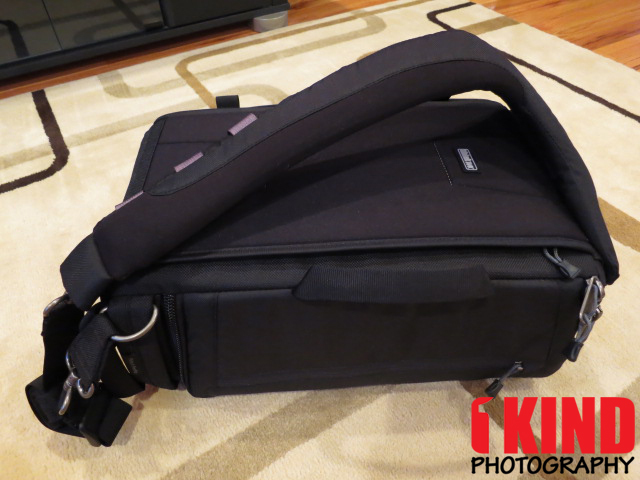 I've been a huge fan of ThinkTank products and I thought I would give the ThinkTank Sling-O-Matic 20 a try. The ThinkTank Sling-O-Matic looks boxy looking. 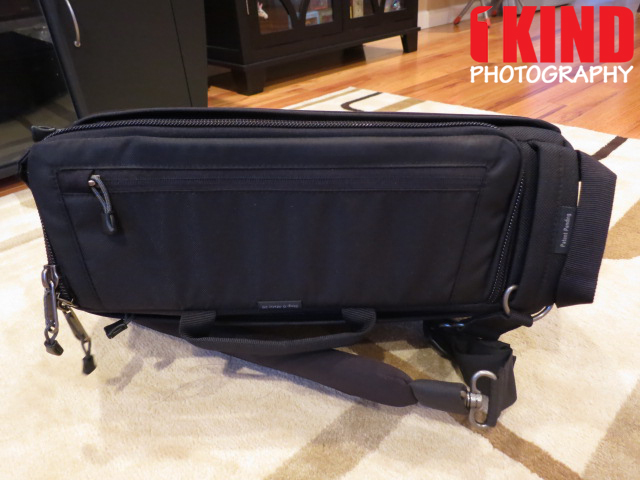 Included is a tripod support strap, rain cover and additional dividers. 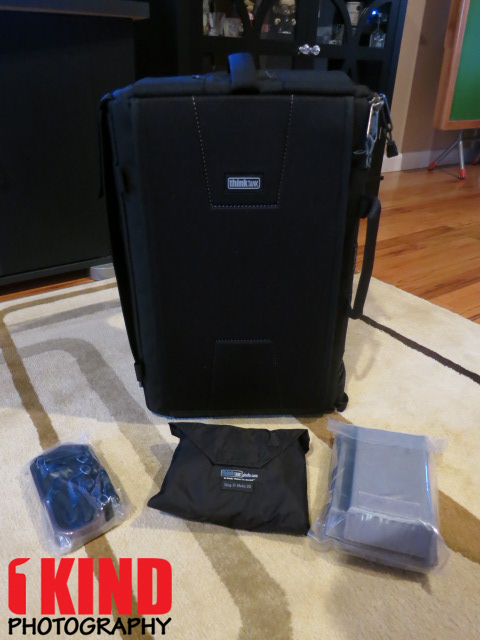 It can carry quite a few camera gear; camera, 3-5 lenses and a few other items. There's nothing much to the front and back as it looks identical. There's a zippered pocket on both sides to hold any papers or thin items you may have. On one of the sides, is a long pocket with a velcro flap. This allows you to insert a monopod, tripod or even a water bottle. With the included tripod straps, they attach to the nylon webbing tabs to help secure it in place. On the other side is a zippered pocket to hold additional items such as lens caps. 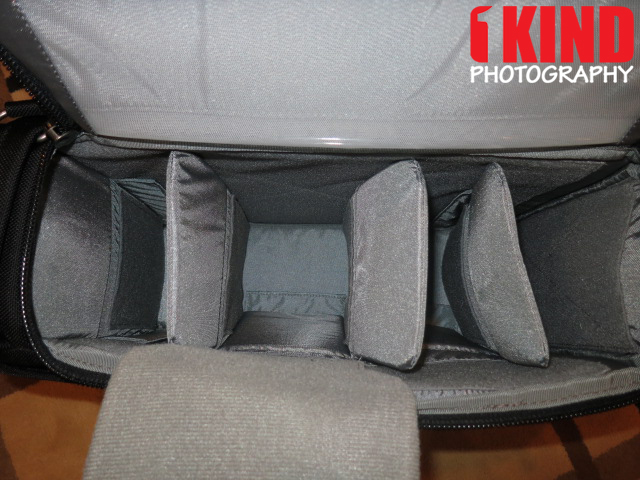 This is also where you access the main compartment for your camera. In a traditional sling bag, you can wear only wear your bag on one shoulder. But what makes the Sling-O-Matic unique and different from the rest of the sling bags is that you're able to easily switch from one shoulder to another in seconds. You take the bag off, slide the strap across the bag and put it back on. 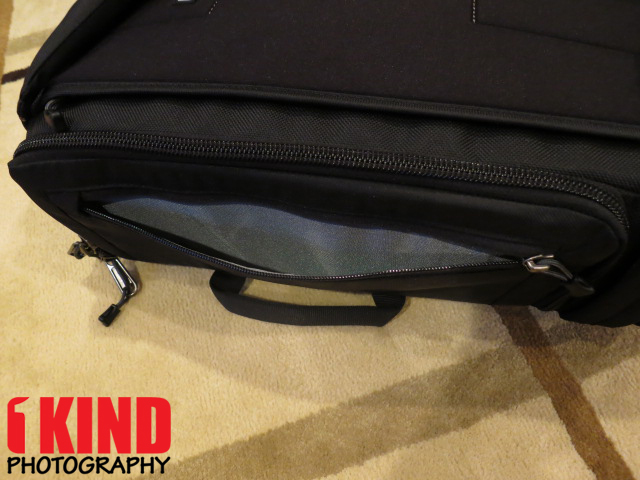 At the base of the bag, there's a handle that allows you to easily pull the bag to the front of you, so you can access your gear via the main compartment as shown above (left image). The shoulder strap is padded and quite comfortable when worn on your shoulders. To ensure that the Sling-O-Matic is able to switch sides and be able to support the weight of the gear, solid metal buckles and hook loops is used for attaching the strap. To help guide the strap from one side to the other, there are two sets of "rails" on top of the bag and one in the middle. If you need to get your camera, simply pull the bag in front of you, unzip, grab your camera and take your shots. When you pull the bag to the front, it stays in front and becomes like a table since the strap and shoulder is providing the support. If you have the strap resting on your right shoulder, the bag will come from your left side and the main compartment flap will open towards you. If the strap is resting on your left side, the bag will come from your right side and the main compartment flap will open away from you. Once you're done, simply put the camera back into the Sling-O-Matic, zip and push it back towards your back. 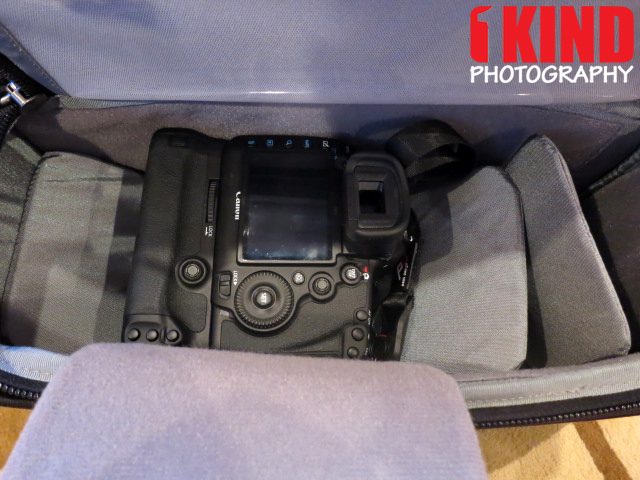 But once you unzip the main compartment, this gives you access to your camera, lens and whatever gear you may need. 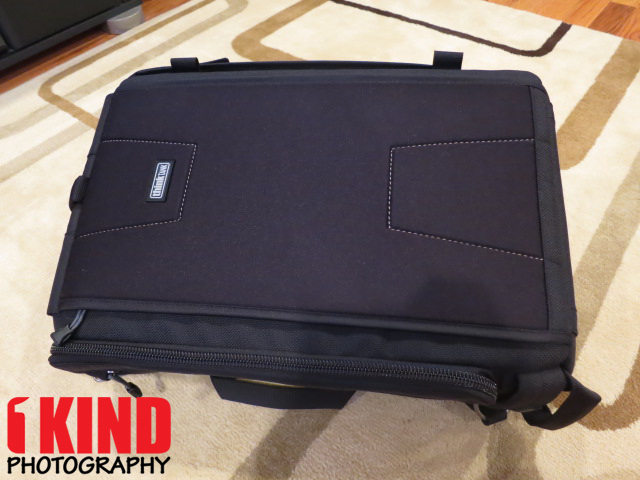 The main compartment lid has a clear pocket to store business cards, memory cards and other items. 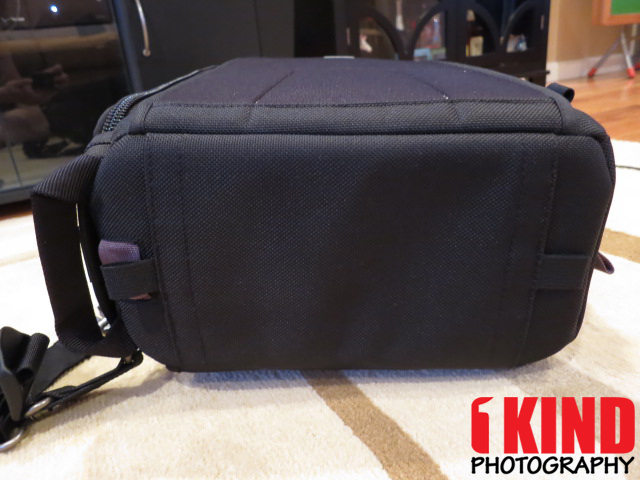 Not many camera bags show off cameras with gripped cameras. All my cameras that I've owned had grips on them so trying to find a bag that would hold one without making it bulge is hard to find. 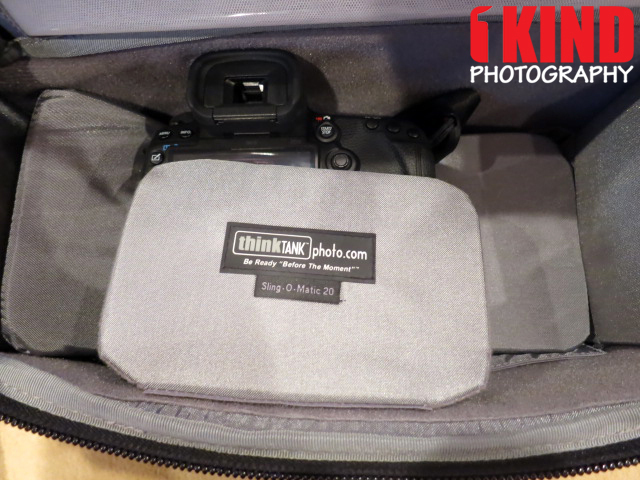 With the ThinkTank Sling-O-Matic 20, it holds a gripped camera in either position fine but it does make it bulge out just a little but didn't have a problem zipping it up. Add a bracket and this will make it slightly bigger. The flap that you see on the inside is to protect the LCD screen. 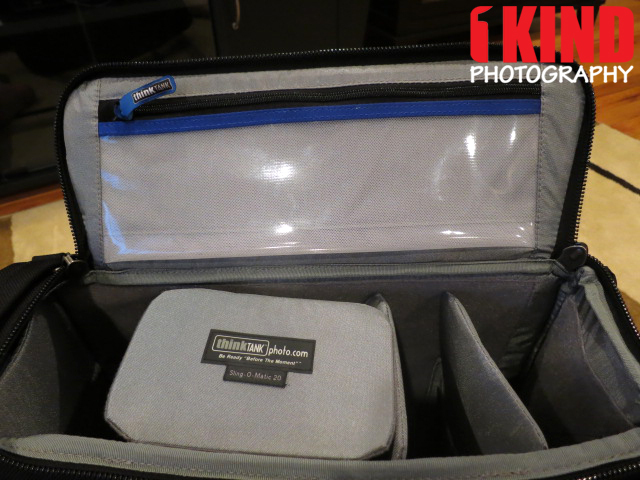 There is enough room to put a couple of lenses and/or flashes depending on what gear you own and what you plan to carry. 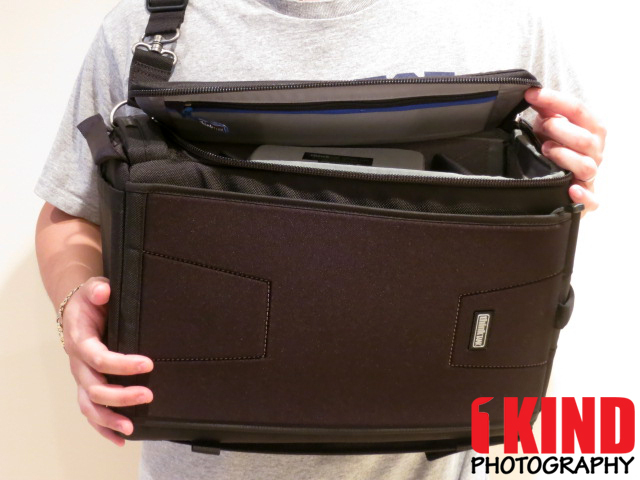 Conclusion : Overall, the ThinkTank Sling-O-Matic 20 Sling Camera Backpack Bag is a great bag for walking around or hiking. It hauls plenty of gear and if your shoulder begins to ache, you can simply flip the strap around so that rests on your other shoulder. Typical sling bags rest on your right shoulder and if your right shoulder begins to hurt from hauling heavy gear, you'll either have tough it out, put it down and rest or hand carry it. With the Sling-O-Matic, you're able to swap shoulders.